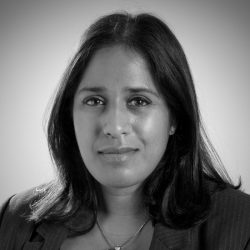 Thara joined the firm’s Private Client department in October 2008 as a solicitor, becoming a partner in 2017. Born in Kent, she graduated with a degree in Law at the University of Essex and completed her Legal Practical Course at the College of Law in London. Thara returned to Kent to train as a solicitor with a small local firm, qualifying in February 2007, before moving on to broaden her experience in one of the larger firms in Kent. In 2016 Thara became a member of the Society of Trust and Estate Practitioners. After completing a diploma in Estates, Trust, Tax and Accounts. Thara is an avid reader and the founder of Kerseys Book Group. She enjoys going to museums and the theatre. Thara likes to do aerobics and loves to travel, her favourite country so far being New Zealand.